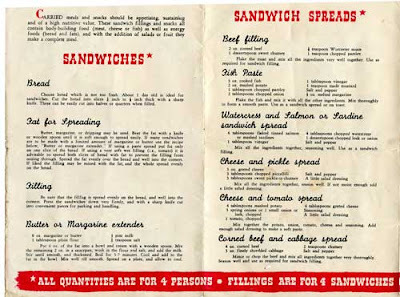 Farmersgirl Kitchen: Picnic 1946 stylee! As I haven't been doing any cooking worth blogging, I thought I'd share some of my recipe ephemera. 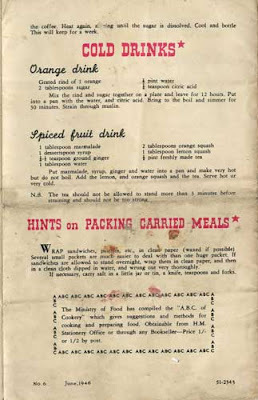 This little Ministry of Food leaflet belonged either to my MIL or my husband's grandmother. It came with the house, as did most of the really old recipe cuttings that I have managed to gather together. 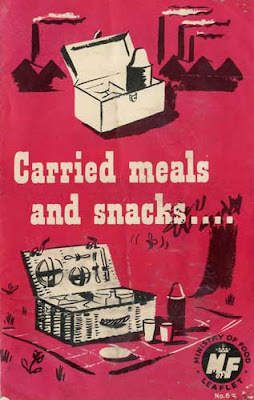 The cover is interesting as it features both the image of a 'packed lunch' for the worker, in a factory, and also the traditional picnic hamper for a day out in the countryside. on the back page is the leaflet number, there must have been a series, but this is the only one I have, and the date June 1946. Here are some of the pages, just in case you were wondering why the recipes don't seem to follow on from each other, the leaflet is one sheet of paper folded, so not too easy to scan! 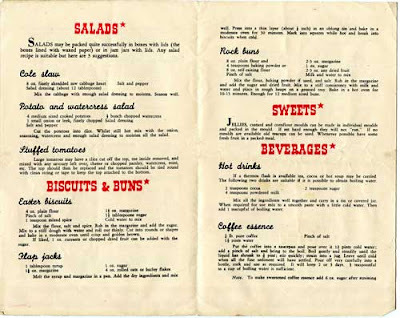 The recipes are not too bad really, athough I don't fancy Butter or Margarine extender, but I guess that was what you had to do when food was rationed. 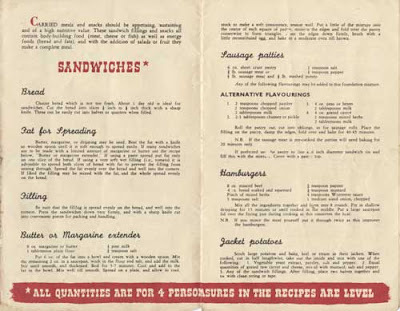 Who'd have thought that there would be hamburgers and coleslaw on the picnic menu in 1946! Flapjacks are pretty much the same then as now, but coffee essence - bleurgh! I have never heard of the butter extender. How interesting! This is really fun to see! What an interesting book - it's really nice to see that you have kept it all this time too. Wow, that is so cool. 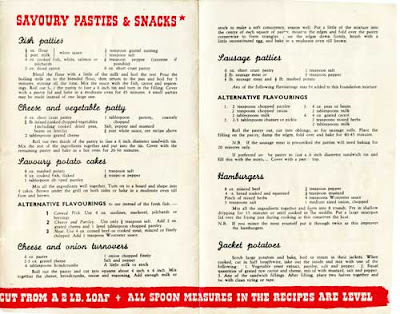 I am hoping to check out that exhibition in london soon where they talk about food rationing. I hope i can pick up an reprinted old cookbook. I would love to try some of this stuff out. Looks very interesting. Must be fun collecting them. I love these booklets - they are like a snapshot in time!